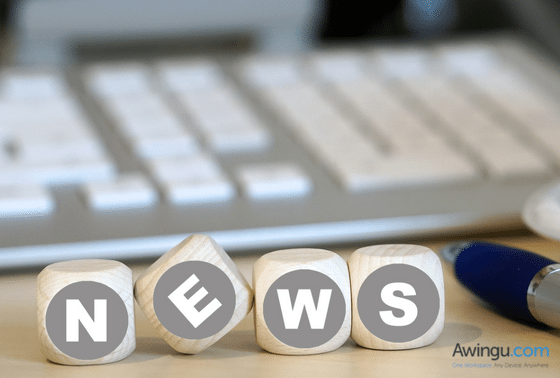 Awingu, a developer of online workspace aggregator software, today announced an alliance with ALSO to expand its web-based mobility solution into the Netherlands reseller channel. Awingu software aggregates all company files and applications to one, a secure online workspace that is accessed using any device with an HTML5 browser. Awingu software works out-of-the-box and does not require any client software to be installed on the device itself. This agreement extends the ALSO relationship that was established last year with Awingu and will allow both perpetual and subscription-based Awingu licensing to be distributed in the Netherlands channel. ALSO, the European B2B marketplace offers services at all levels of the ICT value chain from a single source and currently serves 15 European countries. The company bundles logistics services, financial services, supply services, solution services, digital services, and IT services together into individual service packages. Today’s office environment typically combines SaaS, Web, Windows Server, Windows Desktop and older legacy applications. With Awingu, all your office applications can run on a server using RDP without any need to reprogram. This means big cost savings for businesses since they don’t need to change a thing to their current IT, and within a matter of hours, all company applications can be securely accessed from one online workspace using any device. Awingu develops software to simplify enterprise mobility and liberate legacy applications. Our software aggregates all company files and applications to one secure online workspace that can be accessed from any device or OS using any HTML5-based browser. Awingu mobilizes all company applications without disrupting how you run your IT and works with any cloud services. No agent is required on personal or corporate devices, and collaboration and file sharing are as simple as sending a URL. IT assets remain centrally secure and no data footprint is ever left behind for a safe way to implement BYOD. Awingu is the fastest and easiest way to empower a mobile workforce. Awingu is headquartered in Ghent, Belgium with affiliate offices in San Francisco and New York. Visit www.awingu.com or follow us on Twitter and Facebook. ALSO Netherlands brings providers and buyers of the ICT industry together. The company offers services at all levels of the ICT value chain from a single source. In the European B2B marketplace, ALSO bundles logistics services, financial services, supply services, solution services, digital services, and IT services together into individual service packages. ALSO’s portfolio contains more than 160 000 articles from some 350 vendors. The Group has around 3 600 employees throughout Europe. In the fiscal year 2015 (closing on December 31), the company generated net sales of 7.8 billion euros. The majority shareholder of ALSO Holding AG is the Droege Group, Düsseldorf, Germany. Further information is available at www.also.nl.